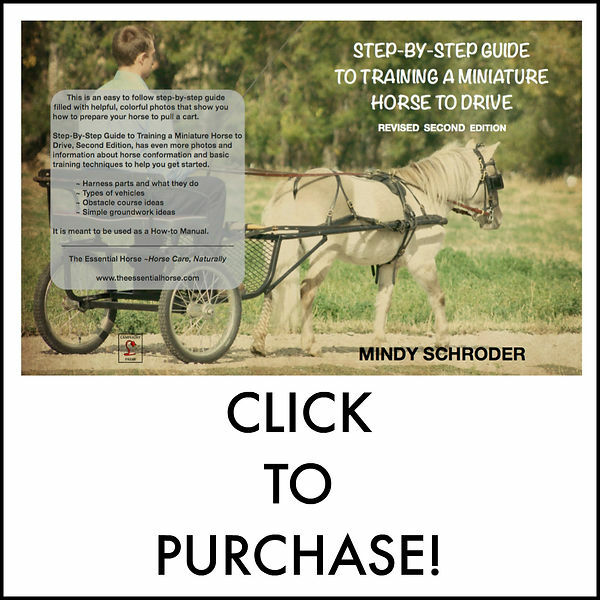 I have been taking this online course about simplifying our horse’s feed program. I have always tried my best to keep it as simple as possible… when I say simple I mean I feed what horses will find in their natural state. Forage 24/7, plain oats (if needed), herbs, a plain vitamin/mineral supplement, a fat supplement, adding in Magnesium if the horse is deficient, grass hay pellets as a carrier when I am not feeding plain oats. For a couple of years I fed Crypto Aero and LOVED it. When Mikey got here I realized that he is sensitive to Rice Bran (it created hot spots in his hair coat) so I had to quit feeding it. I also had to change the vitamin/mineral mix I was feeding. I wrote about that HERE. It turns out I have been complicating things. I am really enjoying the course and having my mind blow a little bit more every single time I watch one of the videos. Really I am. Even though a few times I have felt nothing but completely stupid. Basically do this and then don’t do it. Always do things this way but never do them this way. What we think we know is in fact not what we know. What I like about Dr. T’s course is he backs up his information with science. AND he backs it up with what the horses have been telling him. This is the way I do things here. Just because science says to do something one way doesn’t mean I will do it that way if my horse says it’s not working. I will always error on the side of my horse. I have had to drastically change how I do things around here over and over again, based on what the horses have told me. Thank goodness I am good with rolling with the punches. Even if I don’t like change. Sugars/starches/carbohydrates create inflammation in the gut. And they kill off the good bacteria. We all need good bacteria to digest our food. As the good bacteria dies off our digestion process is damaged. Horses have had the last 55 million years to evolve to what we have now. Protein is a building block that horses need to survive. If you want to help your horse rebuild good bacteria, heal ulcers, have better behavior, taking things OUT of their diet is the best way to do that. Not adding things. This one blew my mind: ulcers may not be caused by the stomach acid sloshing around in an empty tummy. Ulcers could be caused by inflammation of the gut when the good bacteria is being killed off and the bad bacteria is taking over due to excessive feeding of sugars/starches/carbohydrates AND antacids!!! Ulcer prone horses ONLY need the gut bacteria balanced to heal the ulcers. Horses should only eat things that would be found in season in their area. Sugar year round in the form of bagged, grain feeds, only causes big problems for their gut and overall health. He is not saying we can do this in a week or two. This can take years to accomplish. But the things that we add into the diet can actually make this take even longer. Basically we are feeding our horses into ulcers, being overweight, founder, anxiety, behavior problems, etc. And doing nothing never feels right so we do more and more. Add more and more to their feed pan. I am 100% guilty of doing this. Especially with Mikey. His behavior has been so distressing to me that I tried everything that I had read or heard about that can help them feel more calm and settled. Nothing I have fed him has changed his behavior. What I have fed has definitely changed his appearance. To put it simply. I highly recommend spending $47 to take this course. I felt I got my money’s worth in the first two videos. There is nothing out there that is this affordable that is teaching as much as this course is teaching. And it will save you money if you can settle in and relax to the idea of less is actually more. The marketing skills of the feed companies make this a very difficult concept for sure. It has been a struggle for me. Especially when he talks about GMO’s and chemicals. Basically, we can’t do anything about it. Most of us can’t afford to feed 100% organic feed to our horses. So we shouldn’t worry about it. Let’s enjoy being horse owners and change the things that we have control over. Change the things that are known problem causers for the horse. What’s the harm in trying it? None that I can see. Last week I took my ponies off all the supplements I have been feeding. There weren’t many. Just a basic vitamin/mineral supplement, chia seeds and flax seed fed with timothy grass pellets. I am just giving them the grass pellets right now for 2 weeks. Then I will add in a protein supplement, soy meal, gasp! and see what happens. The ponies have wintered well. And when I say that I mean they have come out of winter at a very good weight, even Sky! Mikey is a bit thin, but it doesn’t effect his energy. Zorro is driving and getting lots of exercise and looks fantastic! They had hay 24/7 and the supplements I listed above, but very little sugar and starch, and very very little protein. I can see the lack of protein in Mikey. The other two always have a nice filled out top line. With the summer I have planned, I think adding in a protein/fat supplement is a good idea for Zorro. I will take some before photos of the ponies this weekend and then do a follow up in the summer and the fall. Now since I haven’t been feeding sugar/starch, I don’t expect there to be much of a change in them, but it’s definitely possible with the added in protein! I think it will be interesting. And it will definitely save me a ton of money. I will add that I just bought two tons of hay from a guy an hour away that has an old field that hasn’t been seeded, fertilized or sprayed for weeds for many many years, possibly close to 100 years. The grasses are natural species of grass, they do not irrigate, they wait and cut the hay around the second week of August. There is a legume called Vetch in the field that may bring the proteins up a little bit more than the grass hay I have been feeding without adding alfalfa. I hope it does anyway! I am going to send in a test sample of this hay this week and will share that when it comes in. But I am crossing my fingers that this hay is ideal so I can have a constant hay supplier of hay that is all around good for my ponies and will require me adding little to nothing in the way of supplements. **EDITED TO ADD: I called my vet to see if the Vetch in the hay is poisonous. It turns out there are 100’s of types of Vetch and while some are poisonous some are not. This field is actually just down the road from her vet clinic and she said since the farmer has been grazing horses on this field and feeding the hay to his horses for over 20 years and they are fine, then the Vetch probably isn’t a problem. When I run across some in the hay I will send it in for testing, but I haven’t found any yet! This hay has been sitting in a stack all fall and winter and is clean and green. It does have a bit of dust to it but I’ve found that to be normal for grass hay. Cross your fingers that it comes in below 12% for sugar and starch! So great to see you talking about this! It’s exactly the reason I decided to use my nutrition degree and common sense to come up with affordable organic hay balancer minerals with no additives. It blew me away when I had my hay tested -very low sugar AND protein. Pretty much every time I have had hay tested that was low sugar and low starch it was also very very low in protein. Because in order to get that low sugar and starch (if the grasses being cut are not naturally low in sugar/starch) you must wait for the plant to be more mature which will lower the protein levels. I wouldn’t worry about it if my horses could graze on good green pasture in the spring, summer and fall but mine only get hay. So I need to pay attention. Now when I had my IR mare, Bonnie, if she got too much protein she would founder. So the fact that my hay was low in protein was good for her. It’s always a balancing act for sure! Oh my gosh. I feel like a celebrity came to my blog!! Thank you for your comment 🙂 So far I am thrilled with how my ponies are doing. We just started the SBM. I can’t wait to see the after photos this summer! Thank you for all the hard work you put into this course. I would have paid 3 or 4 times what you charged and felt it was worth every penny.